Let your imagination run wild with these great Easter bunny crafts made from felt. These fun Easter crafts are a great way to pass time with your family and friends while instilling the true meaning of Easter to your children. Celebrate Easter and spring with these adorable and easy-to-make decorations for your tables and much more. 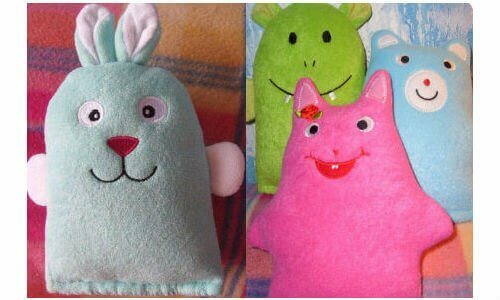 These Easter bunny craft felts will surely make your Easter extra special this year. With your felt paper, cut 1 strip of felt to cover the paper towel or toilet paper roll. Additionally, you will want to cut out 2 ears, 2 ear inserts, 2 eyes, 1 nose and a set of teeth. Use your crafts glue to attach your crafts felt around the roll. If you’re using regular crafts glue, clothes pins come in handy to hold the felt down as its drying. Glue your inserts into your cut out, felt bunny ears. Add a dab of glue to the base of the ears and fold them in half after they’re assembled. Glue each attachment piece to its corresponding area on the paper towel roll. If desired, you can cut out a rounded shaped opening for the mouth and glue the teeth behind the opening. You can also incorporate other craft embellishments like craft felt flowers if you have extra items laying around. Spruce up your bunny as much as possible. These creative and crafty pieces make for some of the most unique in-home Easter décor and what is great about this craft is that it’s quick and easy! Create a wonderful spring or Easter theme with craft felt bunnies. What better way to spend time with your family? Happy Easter, everyone!